The American Federal Aviation Administration (FAA) will order the inspection of many CFM56-7B aircraft engines following the accident that involved a Southwest Airlines Boeing 737-7H4 (WL) (brands: N772SW) bound for Dallas and forced to an emergency landing at the Philadelphia airport on April 16th (see AVIONEWS article connected). It would have been the breaking of one of the blades to cause the engine to fire, the explosion of which caused the breaking of a window and the consequent strong decompression in the cabin that resulted in the death of the only casualty Jennifer Riordan. "The FAA will issue an Airworthiness Directive (AD) within the next two weeks that will require inspections of certain CFM56-7B engines. The directive will require an ultrasonic inspection of fan blades when they reach a certain number of takeoffs and landings. Any blades that fail the inspection will have to be replaced", says the American authority in a brief note. 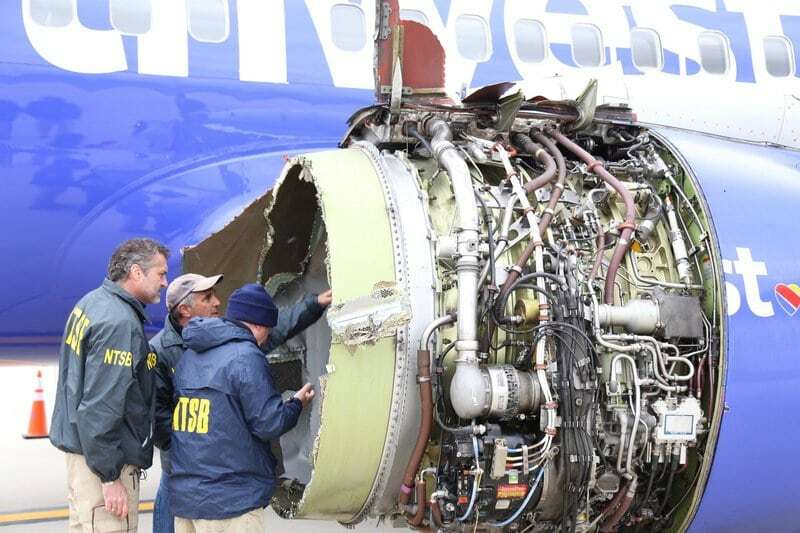 Boeing and CFM International, a French-American company producing the engine under examination, have announced that they have sent their technical teams that, led by NTSB (National Transportation Safety Board), together with Southwest Airlines will carry out the necessary in-depth analysis and technical remarks on the failure that caused the accident last Monday.